We hope you are excited to start! But, before you can create your first campaign you will have to install JungleMail. Note that JungleMail is a Farm Solution. This means that it should either be installed on a SharePoint On-Premise server or on a fully controllable SharePoint server in the cloud. 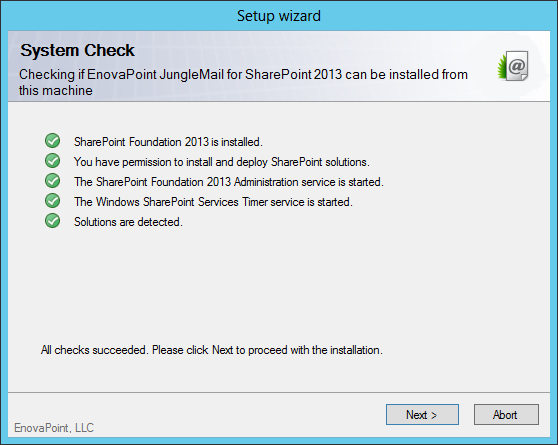 JungleMail can be installed on SharePoint 2013 and 2016. 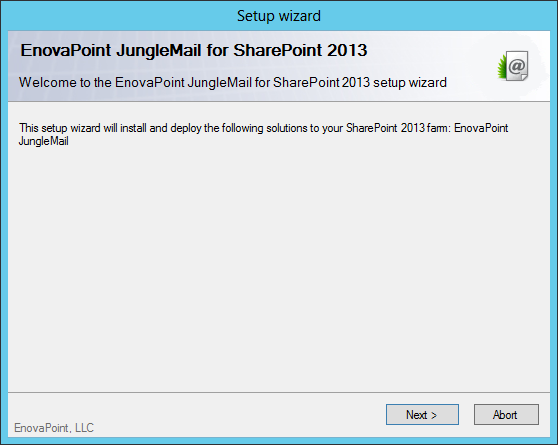 If you are using SharePoint 2010, then please install JungleMail version 4. If you are using SharePoint Online/Office 365, you can find the app here. SharePoint Server 2013 or SharePoint Foundation 2013; SharePoint Server 2016. Download the latest installer here. 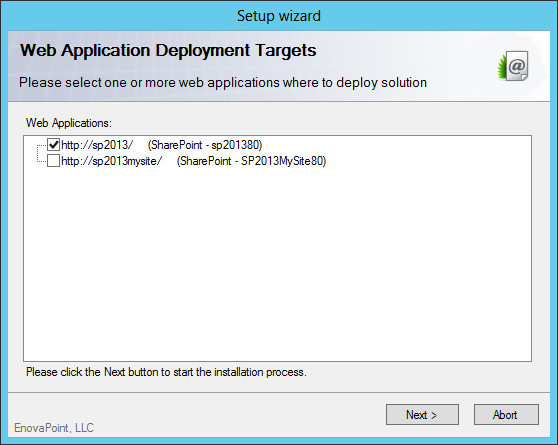 Copy the installer on the SharePoint server running the Central Administration service. - SharePoint site collection administrator (to activate the features after installation). Restart the World Wide Web Publishing Service (W3SVC) before installation on every server running it in your SharePoint farm. You can use the iisreset /stop / noforce and iisreset /start command line commands. This will ensure that no system files that need to be updated are locked, which could cause the installation to fail. 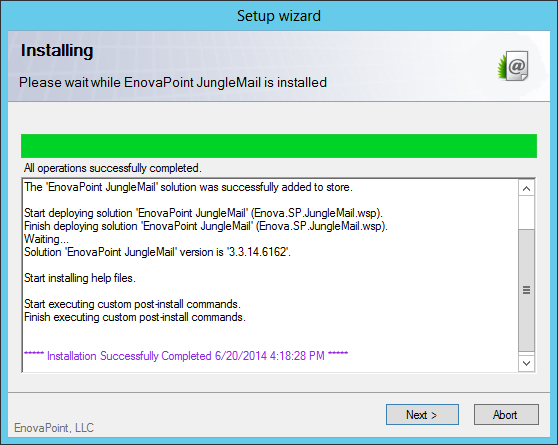 Launch the JungleMail Installer from the SharePoint Server running Central Administration Service. The product will be automatically deployed to all other SharePoint Farm servers by the SharePoint Timer service. Note: the installation may cause 2-5 minutes of downtime. 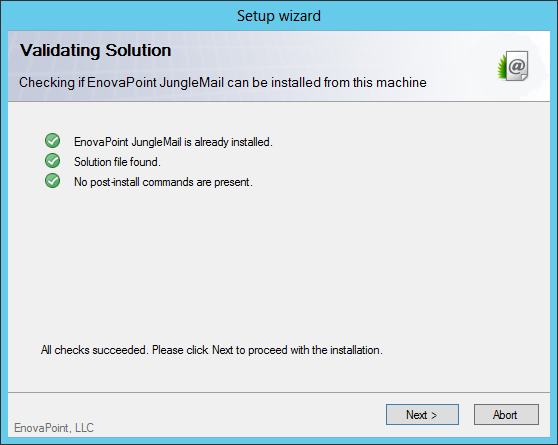 Wait for the setup wizard to check if JungleMail can be installed from the current machine and then follow the instructions. 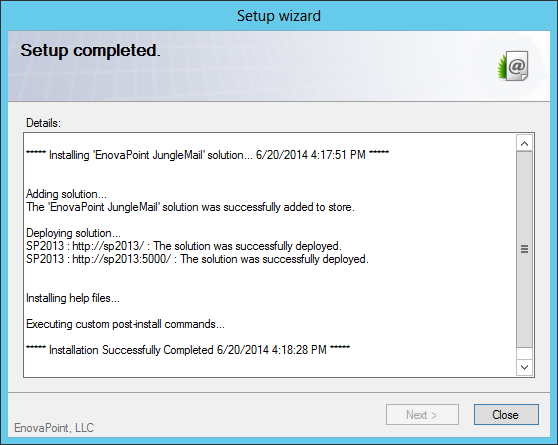 Wait for setup wizard to check if JungleMail is already installed. 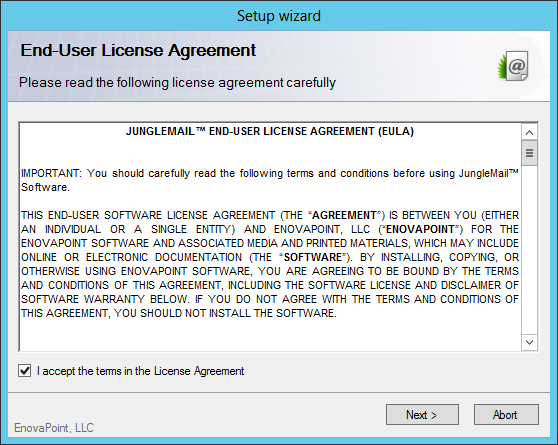 Read and accept the end-user license agreement. Select the Web Applications you wish to use JungleMail from. Review the Installation log to ensure that the product was installed successfully, and click Close.